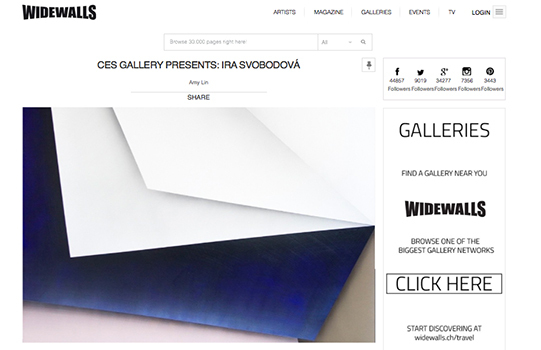 A new body of work by minimalist artist Ira Svobodová will be on display at Carl E. Smith gallery in Los Angeles. The upcoming show by one of Czech most promising young painters consists of a series of acrylic paintings on linen canvases. For Papercut exhibition Ira Svobodová have drew inspiration from the music of Antonin Dvorak and incorporated his lyricism and changing rhythms into her work. The artist combines two of her strongest passions, sculpture and painting and creates artworks that can be seen as two-dimensional or three-dimensional objects depending on the viewer’s perspective.